Enclosure: The 1590B is a bigger enclosure, the added space makes wiring the Box Mod easier but you also end up with a bulkier device. 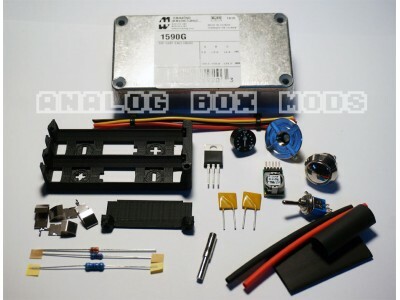 If you care more about the mod being as small as possible, go for the 1590G, if you are more concerned about "ease of assembly", go for the 1590B. 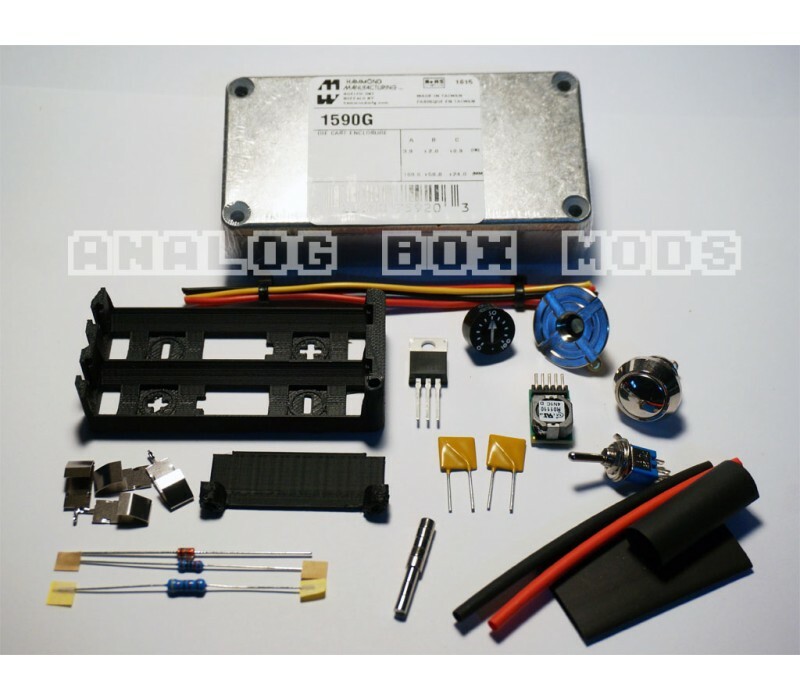 MOSFET Package (size): The larger package (TO-220-3) is easier to solder but is harder to squeeze it into the case. If you chose the smaller 1590G enclosure, we'd recommend you select the smaller (DPAK3) MOSFET, if you chose the larger 1590B enclosure, select the larger MOSFET. Master on/off Switch: A Master on/off Switch is important for when you have your mod in your pocket or purse to prevent it from firing if something presses up against the fire button. I really like the look of the external Mini Toggle Switch but if you don't, select the Mini Slide Switch which can be mounted (hidden) inside the case. Remove lean: The 1590* Hammond enclosures are cast aluminium, they are cast in a mold and have a slight "lean" on all sides so they can slip out of the mold after casting. We can remove this lean for you on the bench sander. Drilling/Machining: We'll do all the drilling/machining required for the mod. Install Magnets: We'll epoxy the magnets in the enclosure and lid for you. Powder Coat: We'll powder coat the enclosure for you, select the desired color. WARNING! To safely run this mod at it's maximum output voltage of 6v, do NOT use a coil with a resistance below 0.72ohms. 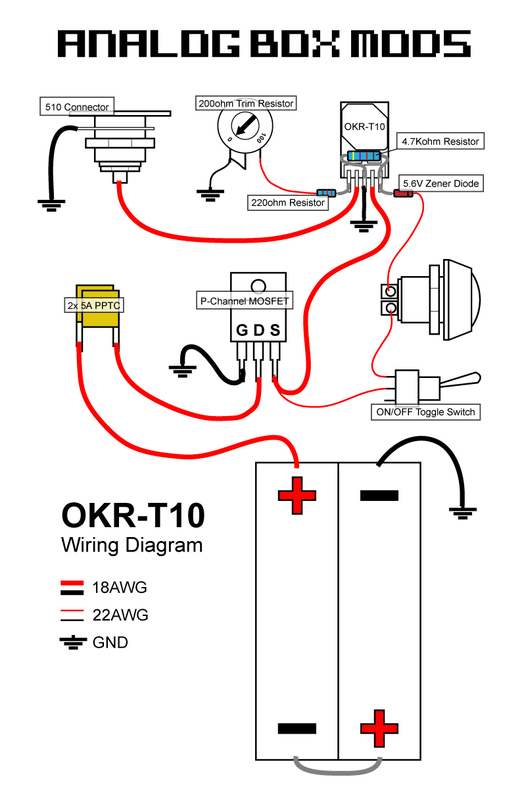 A resistance below 0.72ohms @ 6v will exceed the OKR-T10's maximum power output of 50Watts.